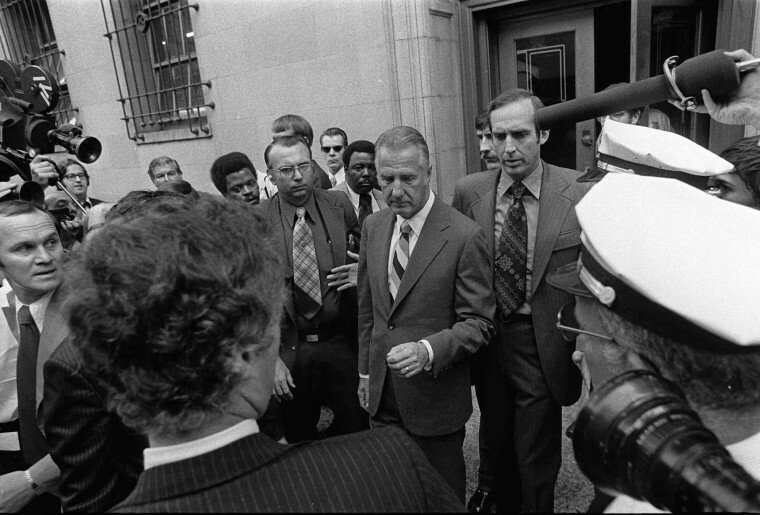 Former Vice President Spiro T. Agnew walking out of the Baltimore federal courthouse October 10, 1973, after pleading no contest to felony tax evasion and becoming the first Vice President in American history to resign in disgrace. Agnew told the stunned crowd outside that he "categorically and flatly" denied the charges of bribery and extortion alleged by the prosecutors. Vice President Spiro T. Agnew's letter to President Richard Nixon upon his resignation from office on October 10, 1973. VP Agnew informed Nixon that he had submitted his official "instrument of resignation" to Secretary of State Henry Kissinger. 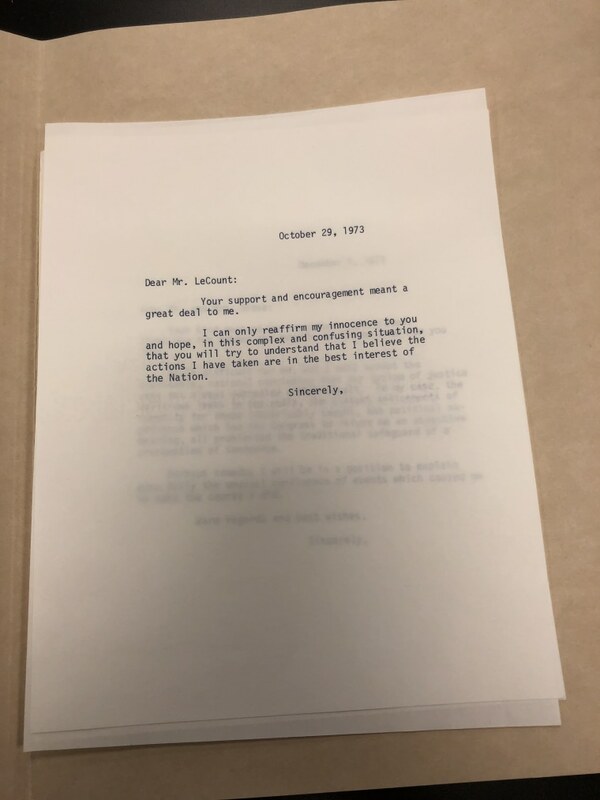 Nixon's Goodbye Letter To "Ted"
President Richard Nixon's letter of sympathy to his Vice President Spiro "Ted" Agnew upon Agnew's resignation on October 10, 1973. 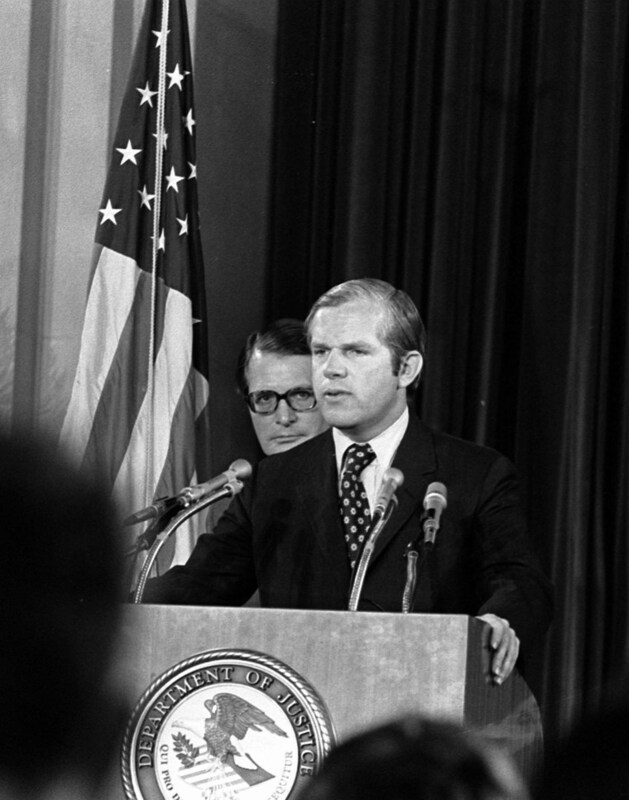 Nixon - who himself would resign just months later - told Agnew, "you have been wounded, but I predict you will recover and fight again another day." Letter from U.S. Attorney George Beall of Maryland to IRS Commissioner Donald Alexander, praising the work of the IRS Agents who were instrumental in breaking open Vice President Spiro T. Agnew's bribery and extortion scheme. Beall described the IRS agents as "outstanding representatives" of the agency, and the Baltimore prosecutors have described the team of IRS Agents they worked with as the heroes behind the scenes who were essential to breaking the Agnew investigation open. 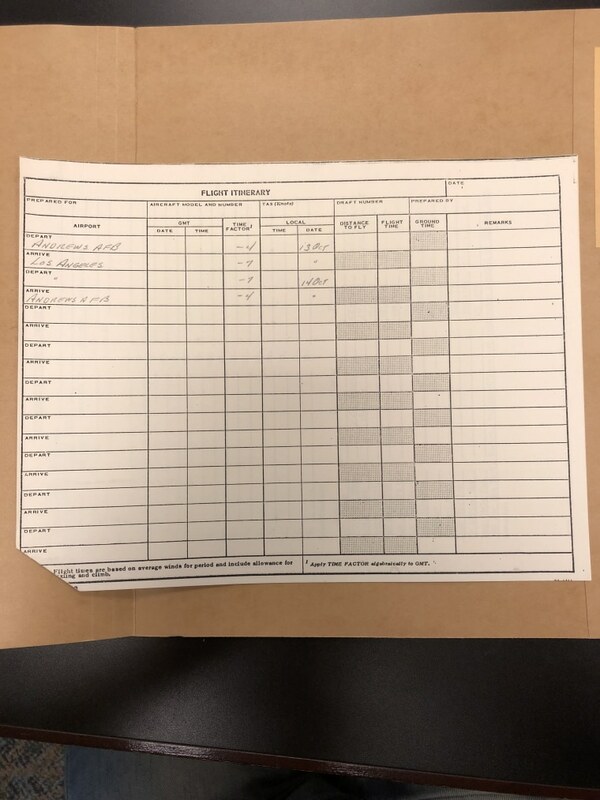 A flight manifest for Vice President Spiro T. Agnew for a scheduled trip to Los Angeles on October 13, 1973. The flight never took place, as Agnew resigned the Vice Presidency just three days earlier. His own White House staff didn't learn about the resignation until Agnew was on his way to Baltimore to plead to a felony. Former Vice President Spiro T. Agnew's response to a supporter weeks after resigning from office. Agnew proclaimed his innocence once again and described the ordeal as a "complex and confusing situation." 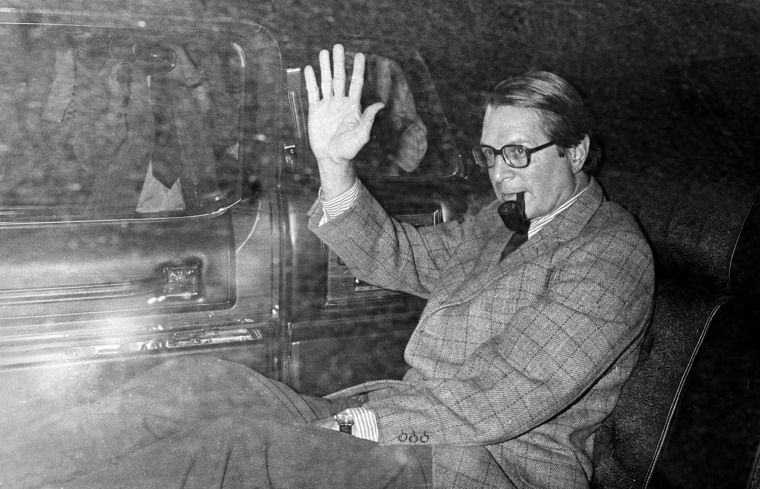 Attorney General Elliot Richardson waves to reporters on October 20, 1973, after resigning from office and departing the Justice Department in the midst of the "Saturday Night Massacre." Just 10 days earlier, AG Richardson appeared in federal court to secure the resignation of Vice President Spiro T. Agnew. 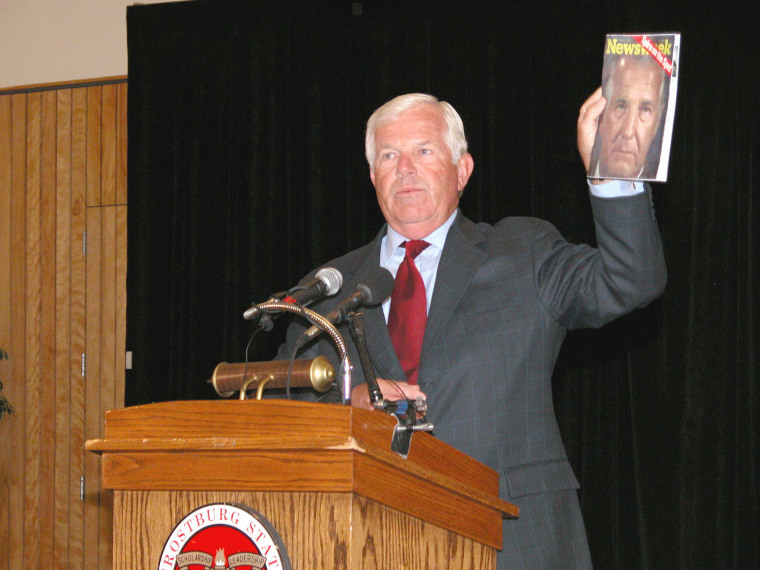 Former U.S. Attorney George Beall delivering a speech in September 2003, marking the 30th anniversary of Vice President Agnew's resignation. 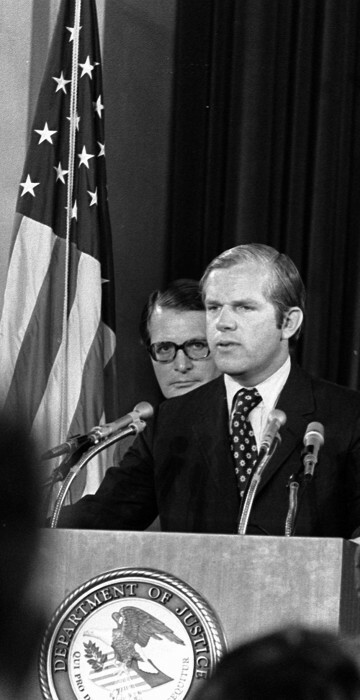 Beall resisted pressure from the Nixon White House to interfere with his investigation and he only rarely spoke publicly about the case in the decades following Agnew's resignation in 1973.